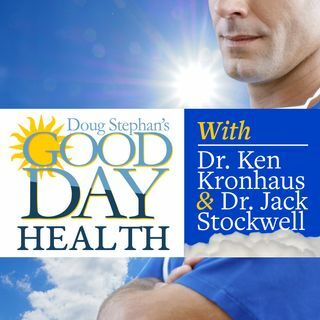 Dr. Jack Stockwell http://www.forbiddendoctor.com and Host Doug Stephan reveal what happens to your brain, when you combine Fats with Carbs. Learn how to get your Type II Diabetes numbers down to the twos. Would you like to learn how to build muscle, when you've tried just about everything? Find out the link between Herpes and the lack of Calcium. A new study shows that Walnuts are good for your Gut. What 6 menu items would MacDonald’s employees tell you to avoid? Finally, one of Mr. ... See More Roger's philosophies may help you extend your life.